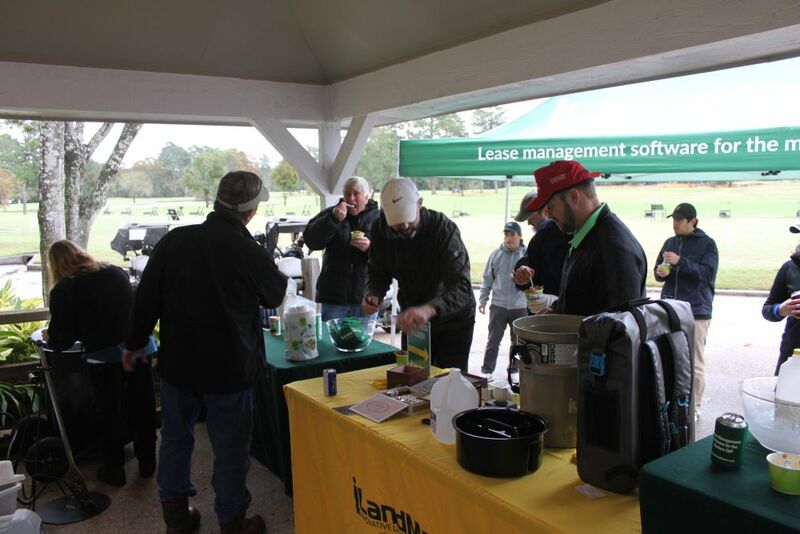 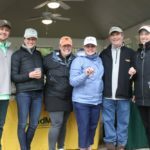 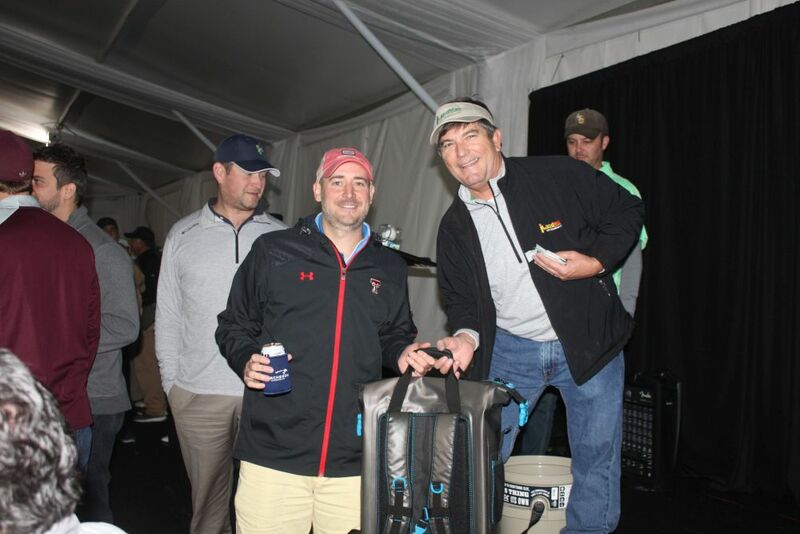 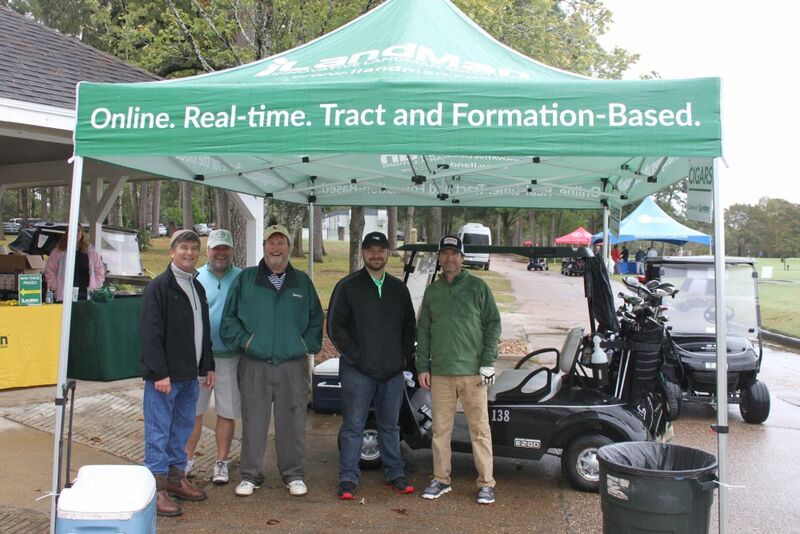 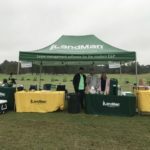 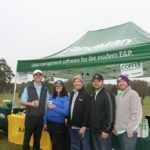 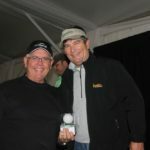 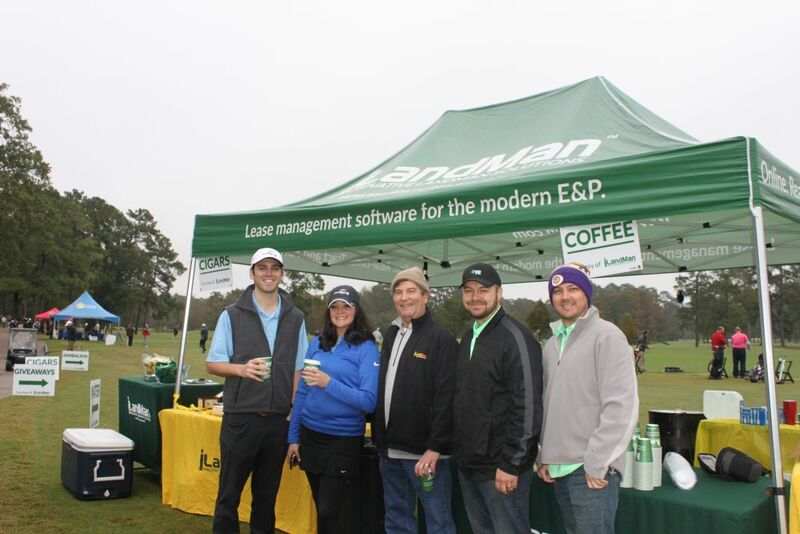 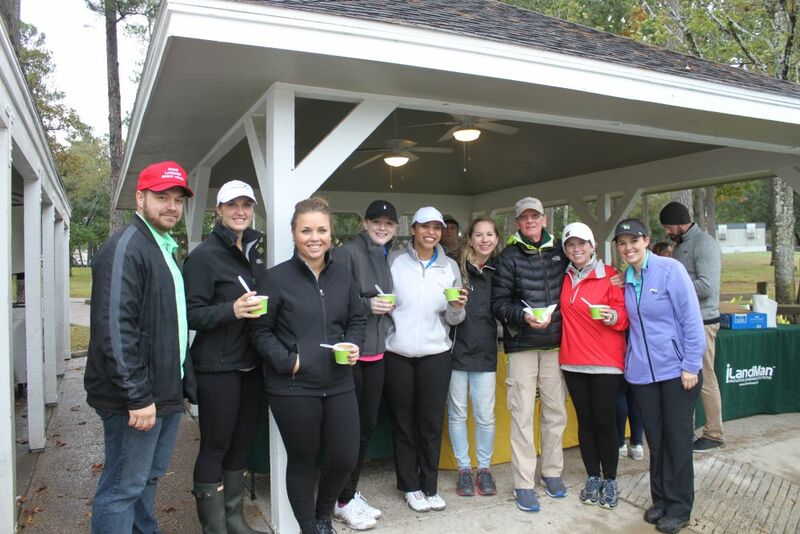 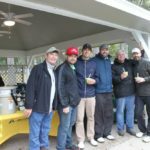 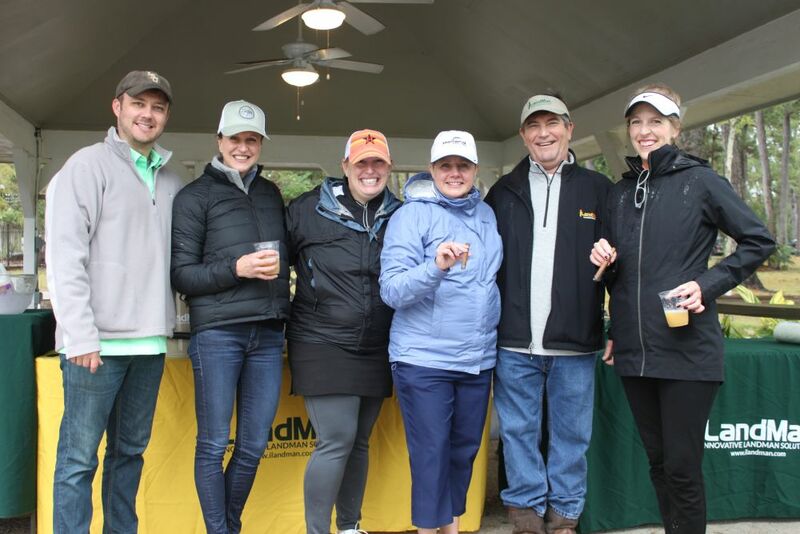 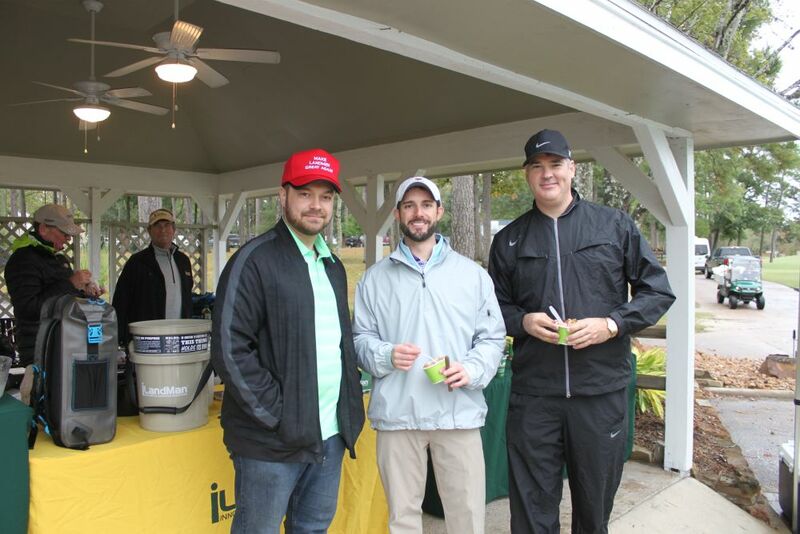 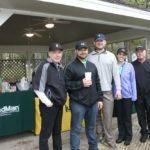 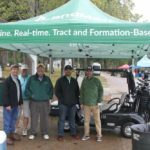 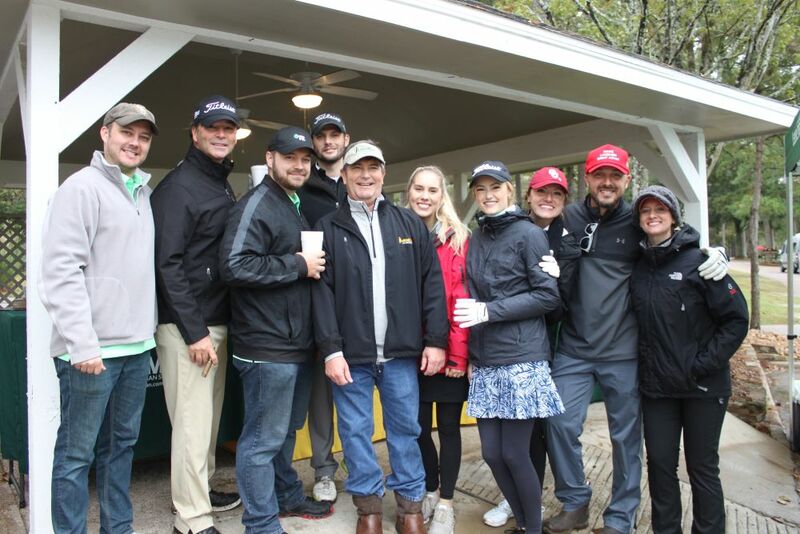 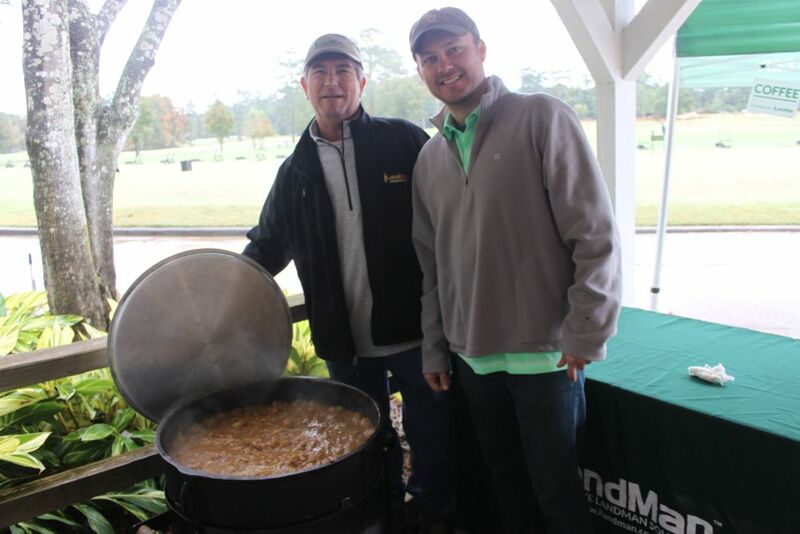 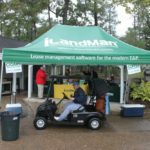 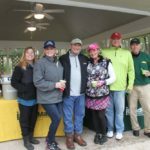 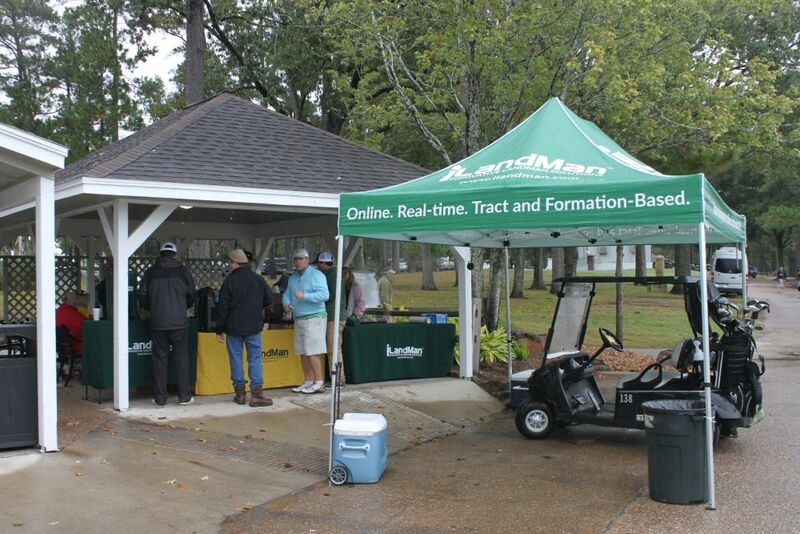 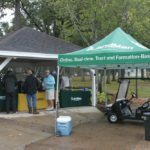 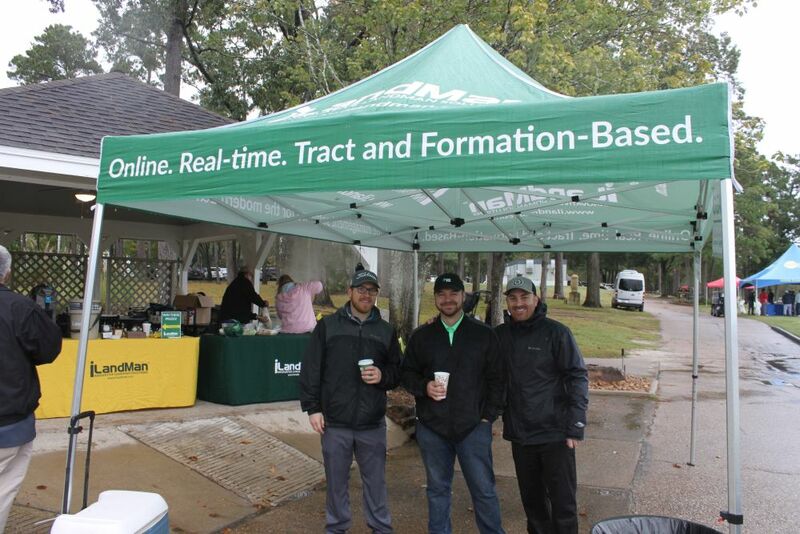 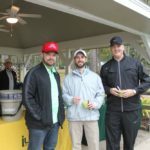 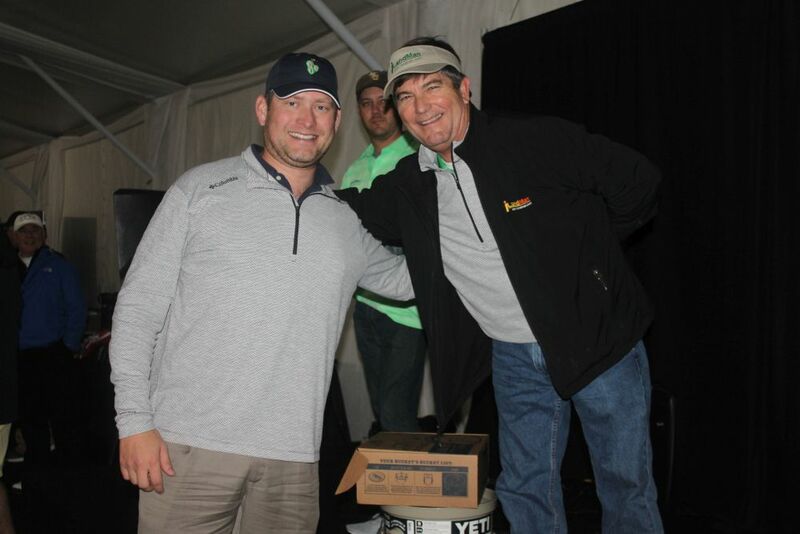 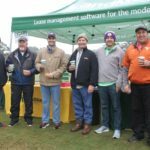 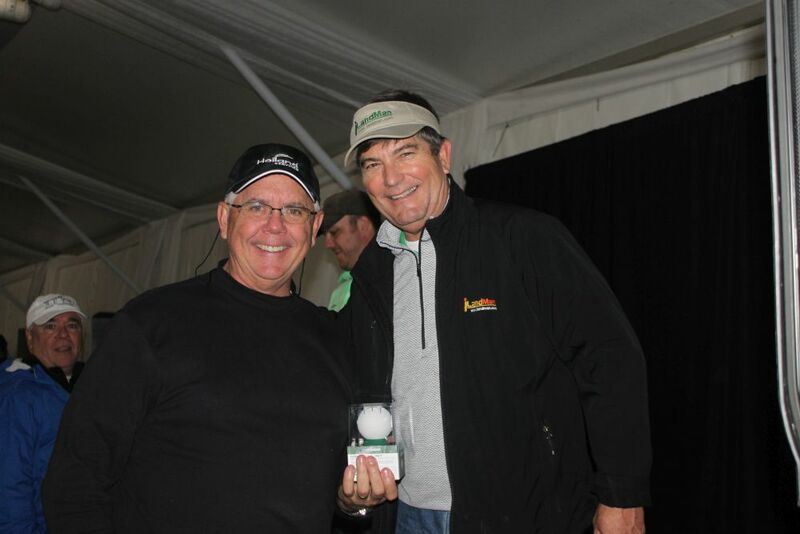 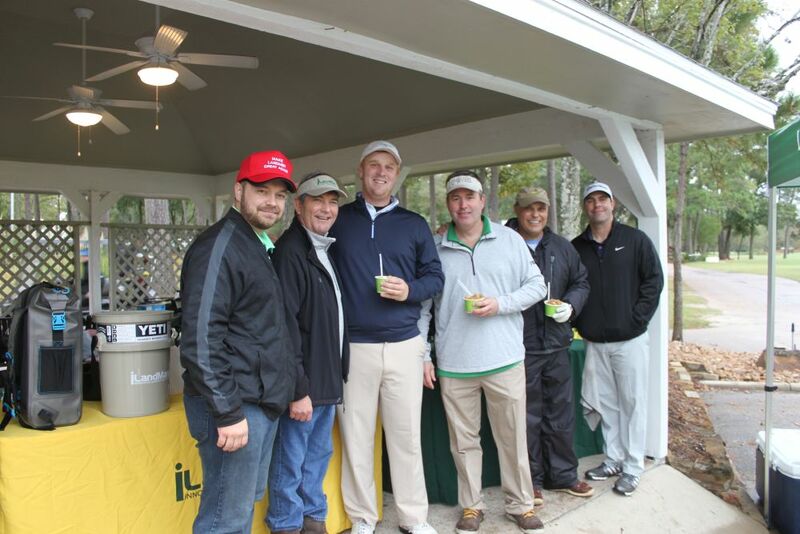 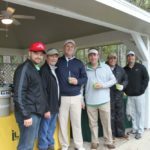 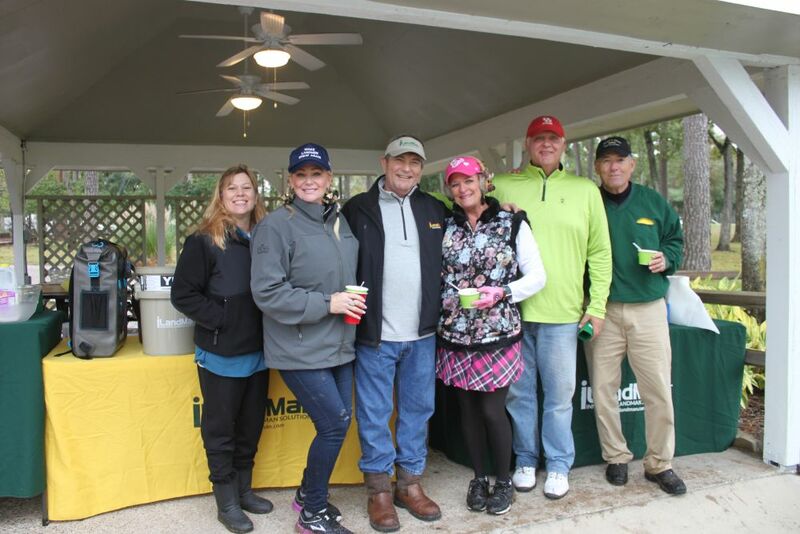 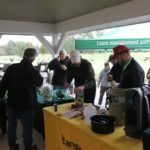 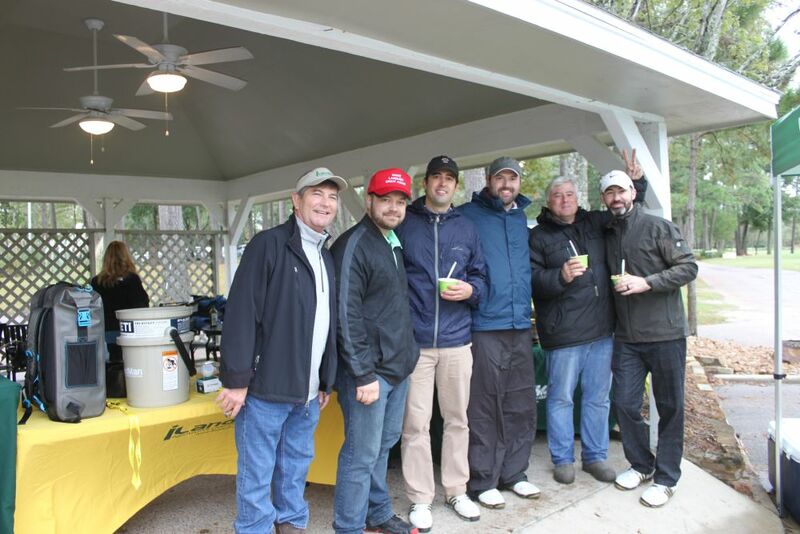 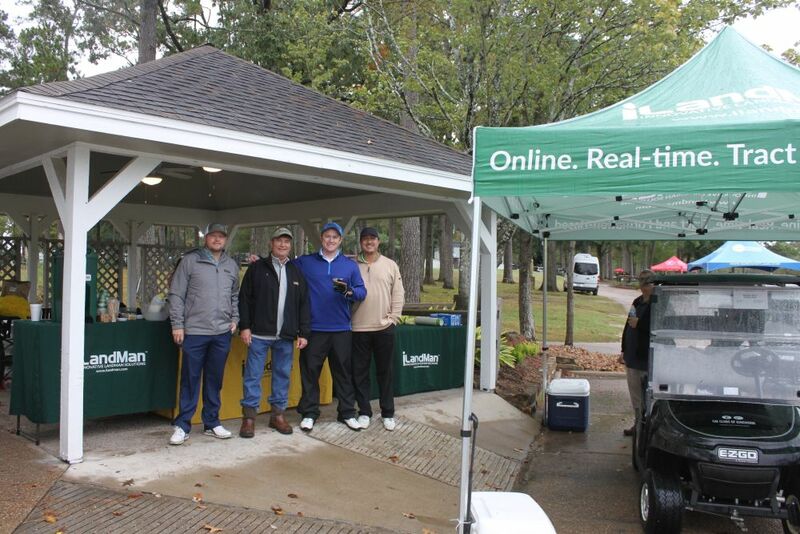 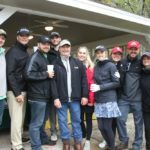 It was a cold and rainy day for the 2018 HAPL Golf Tournament a few weeks ago at The Clubs of Kingwood in Kingwood, TX, but that didn’t stop a few hundred folks from coming out and enjoying themselves for this big event. 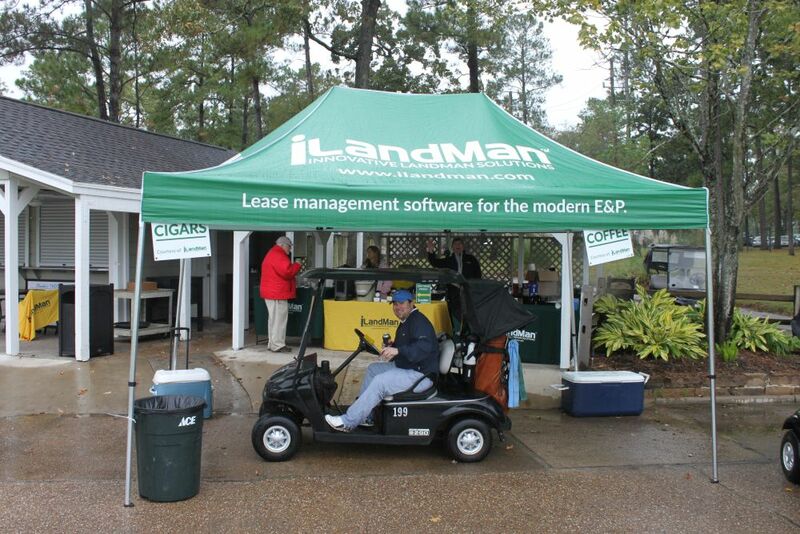 A day at the golf course, even a rainy one, is still better than being in the office, right? 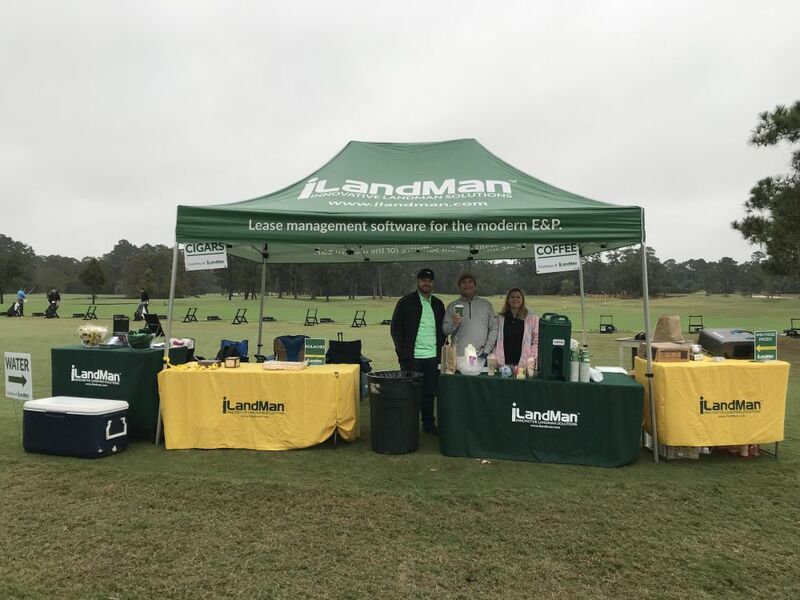 We set the iLandMan tent up in our normal spot, on the corner of the driving range, and started serving coffee and kolaches for the early arrivals. 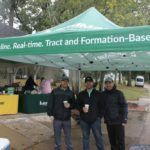 However, it wasn’t long before the rain started to take its toll on our tables and gear, so we decided it was time to upgrade our spot. 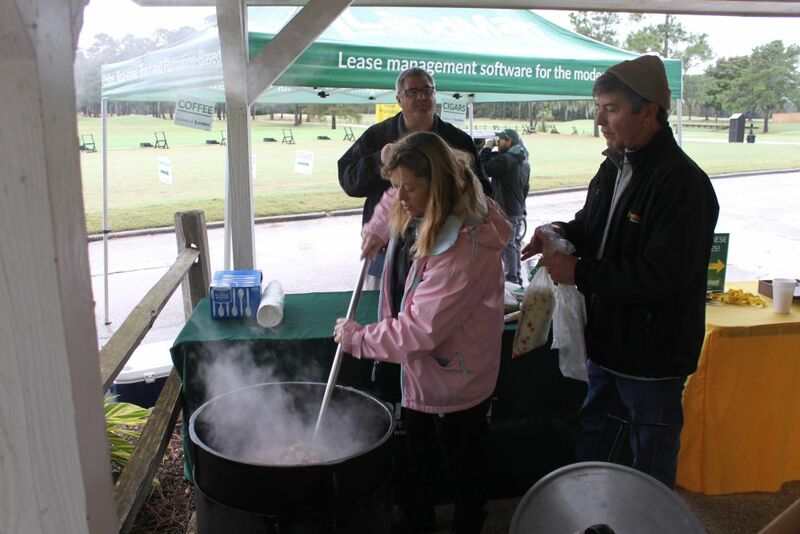 After packing up all of our gear and moving over to the covered patio, the jambalaya pot was lit and we were back in business, now featuring luxurious covered golf cart parking. 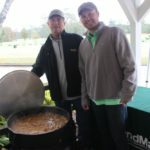 As always we really enjoyed visiting with everyone who stopped by for some jambalaya, a cigar, or to register for the giveaways. 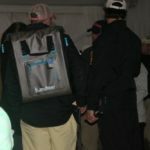 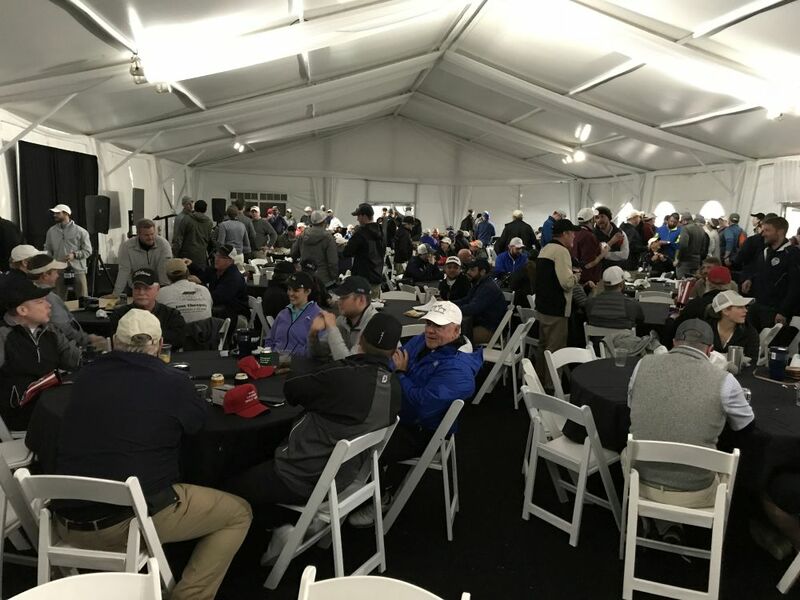 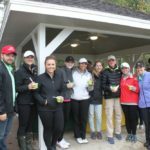 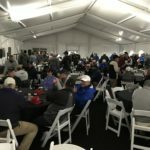 As the wet and weary golfers started wrapping up their rounds, it was time to head inside the big clubhouse tent to relax. 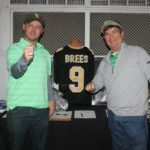 There was more great food and drink to enjoy as the winners were announced, and some really interesting silent auction items to view. 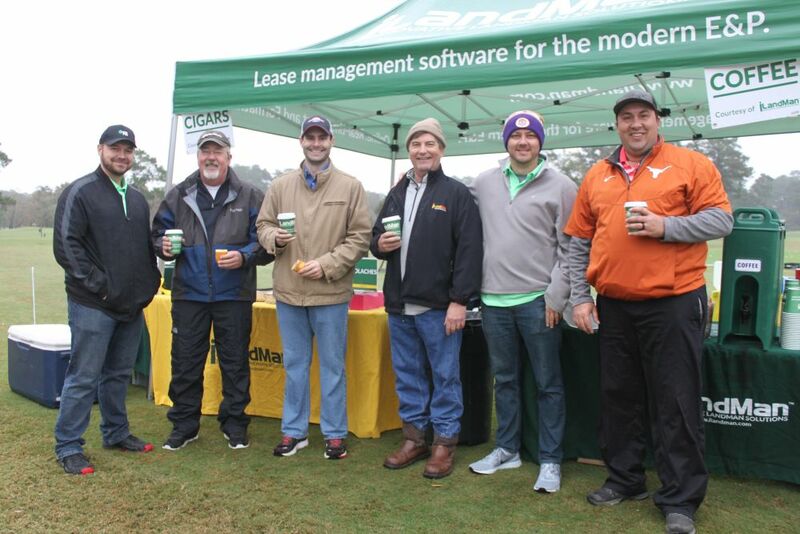 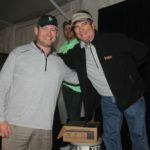 A big thank you to our host venue, The Clubs of Kingwood, all of the participating companies, sponsors, and especially the great HAPL volunteer team headed up by Tanner Quiring. 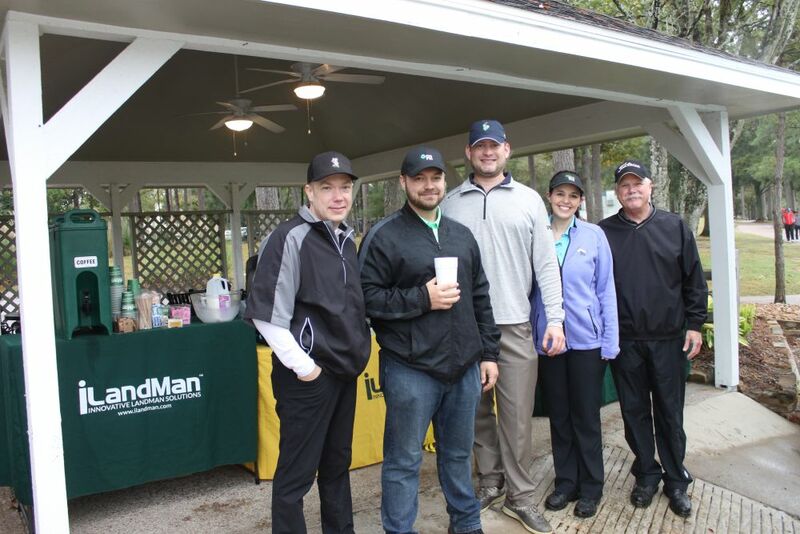 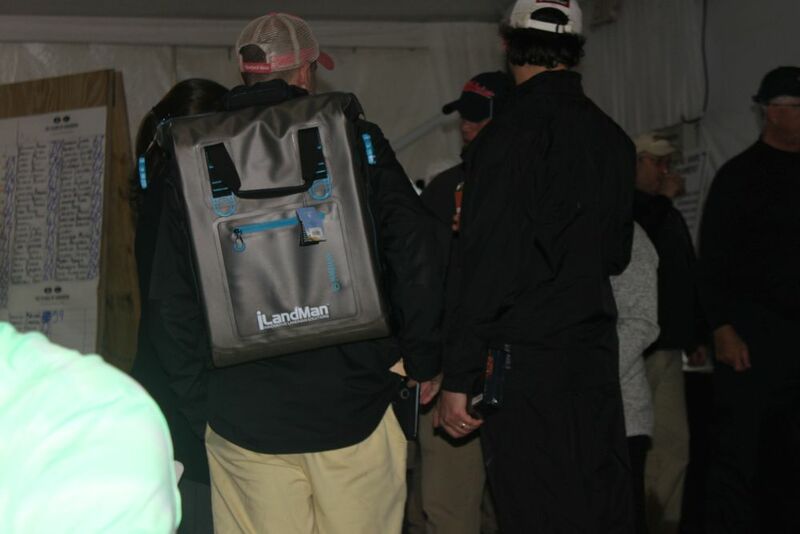 Wondering where the iLandMan team is headed next? 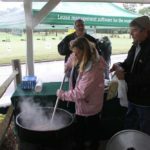 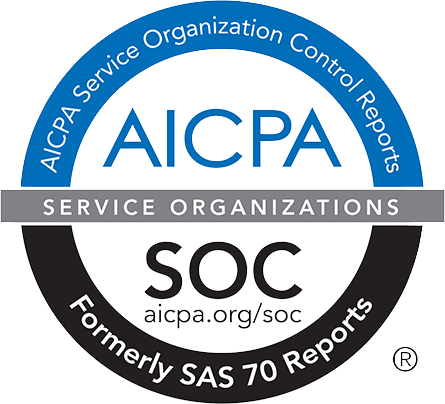 Check out our events calendar for upcoming dates and event locations. 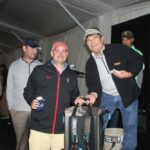 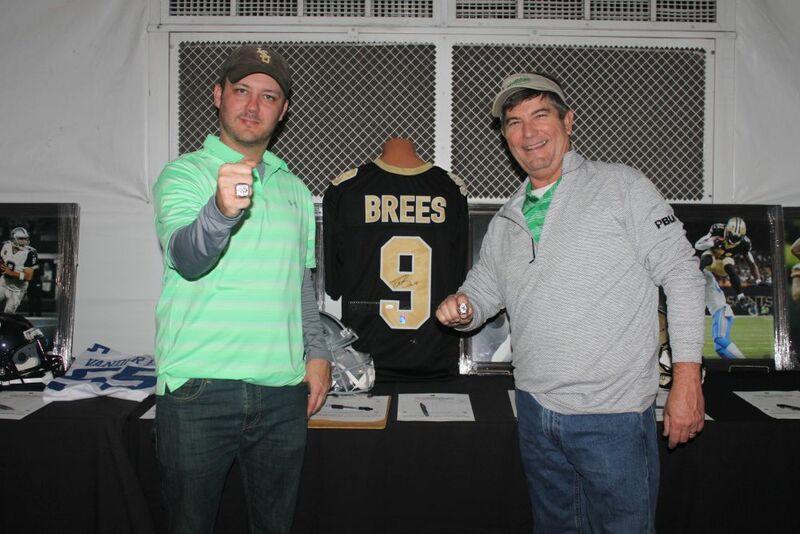 For more pictures from this great event, enjoy the gallery below or view the album on our Facebook Page where you can tag yourself and your friends. 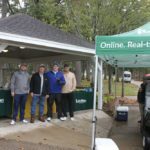 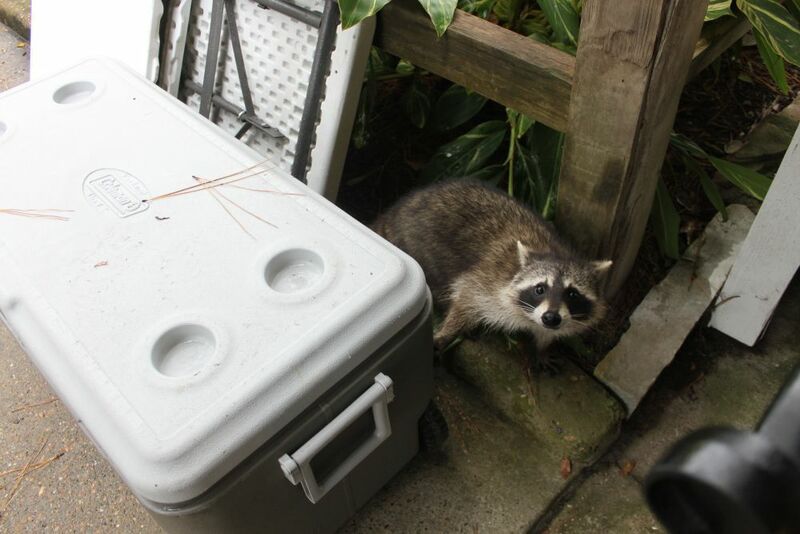 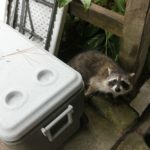 This entry was posted in News and Events on November 27, 2018 by Adam Chapman.